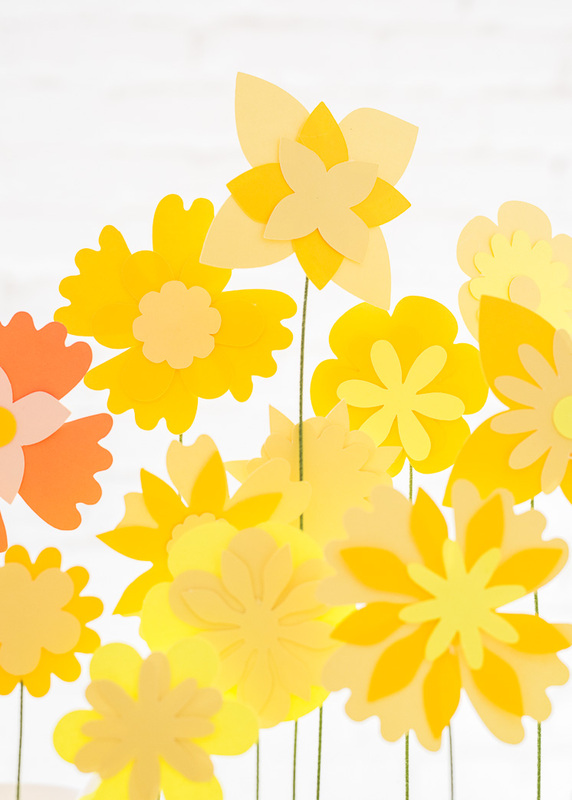 April Showers bring May flowers… so I guess you can say we’re jumping the gun a little bit over here! 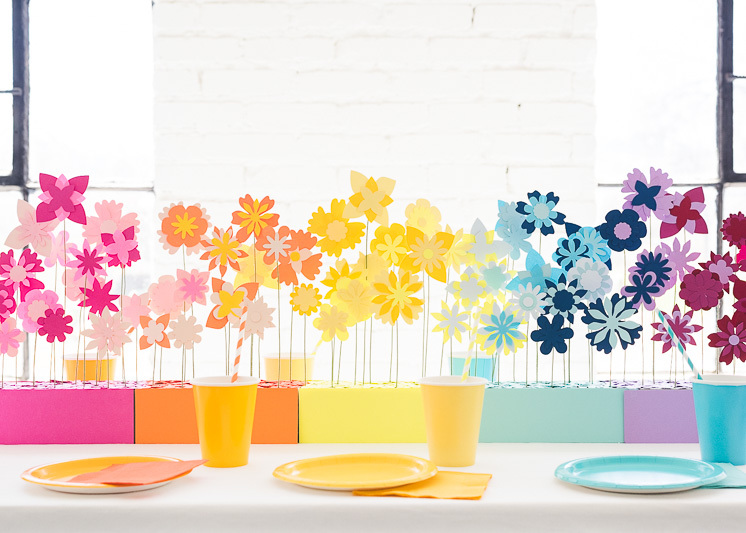 This Rainbow Paper Flower Tablescape is the perfect way to welcome in Spring! 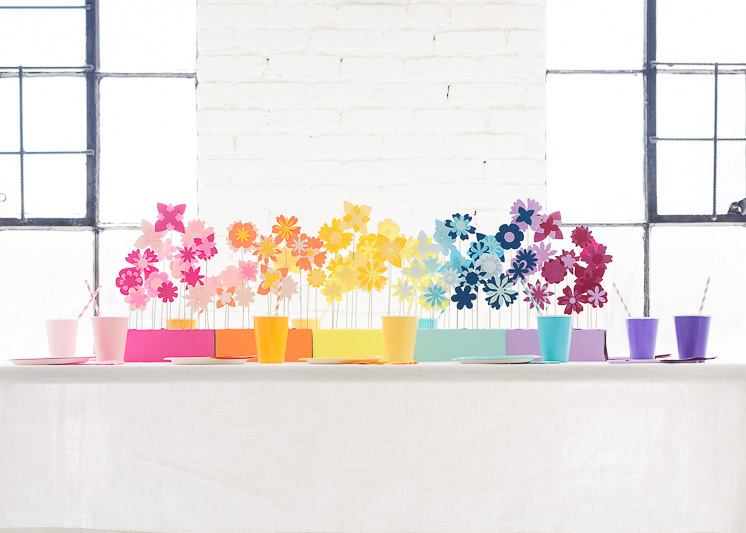 It also involves two of our favorite things: rainbows and flowers. 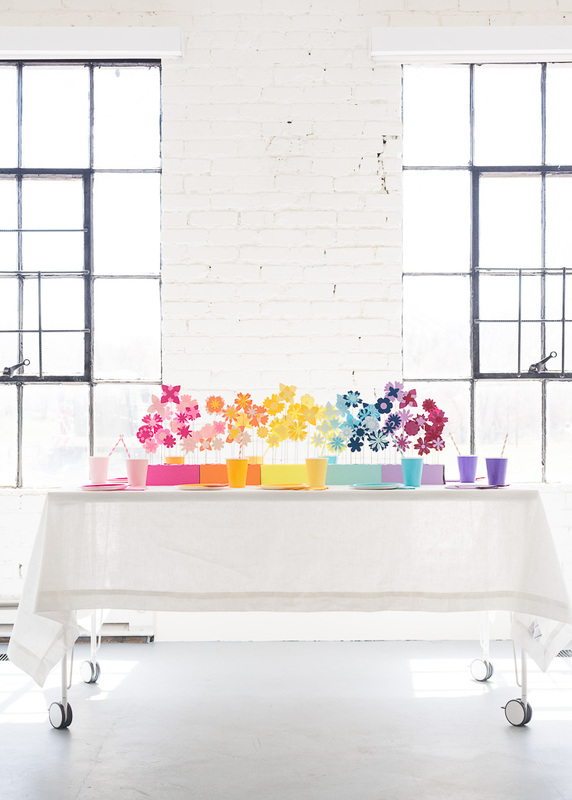 We created layered 2-D paper flowers in different shades of pink, orange, yellow, blue, and purple to create a rainbow of flowers down the center of the table. 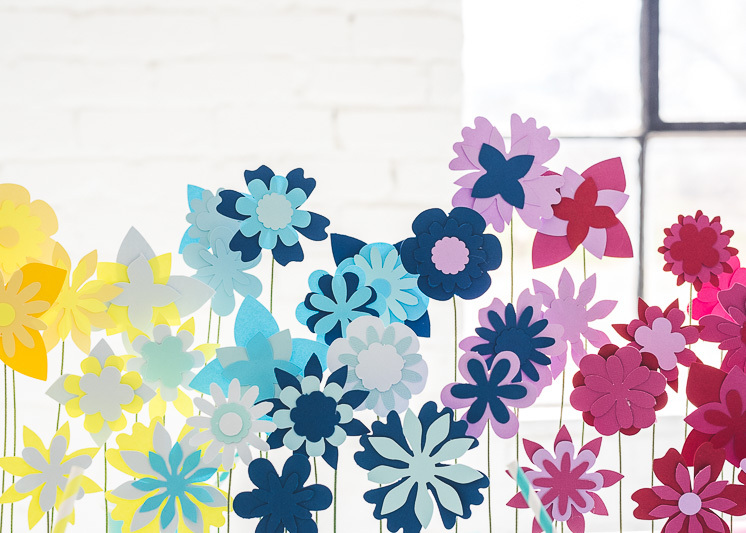 Paper, wire, and floral foam and then only materials you need to make this stunner. 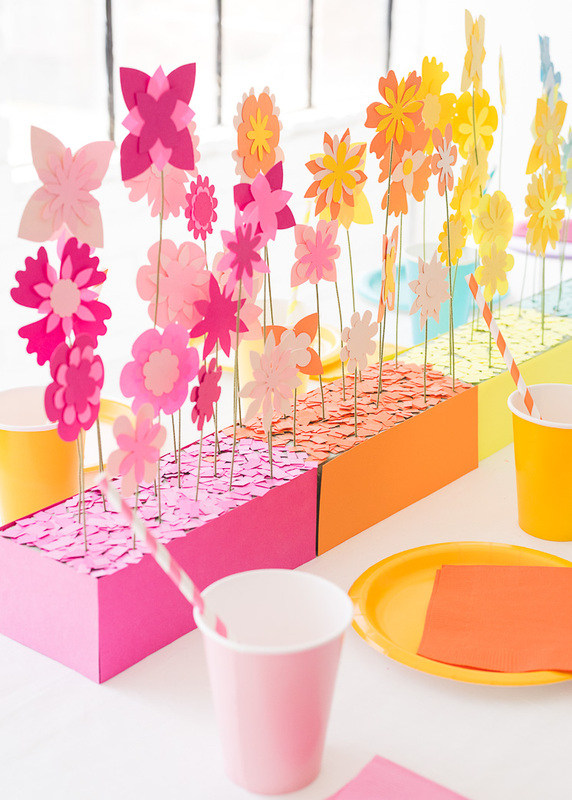 It would be perfect for a Mother’s Day brunch, a spring bridal or baby shower, or a rainbow themed birthday party! 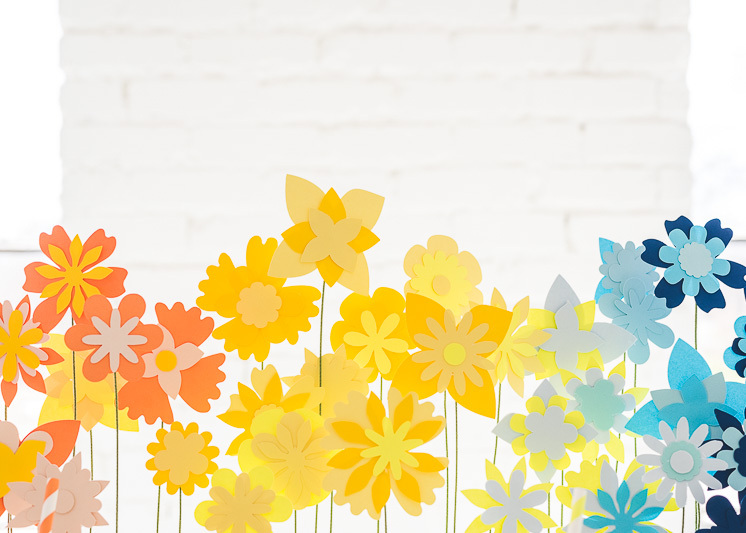 Continue to download the flower templates to make your own! 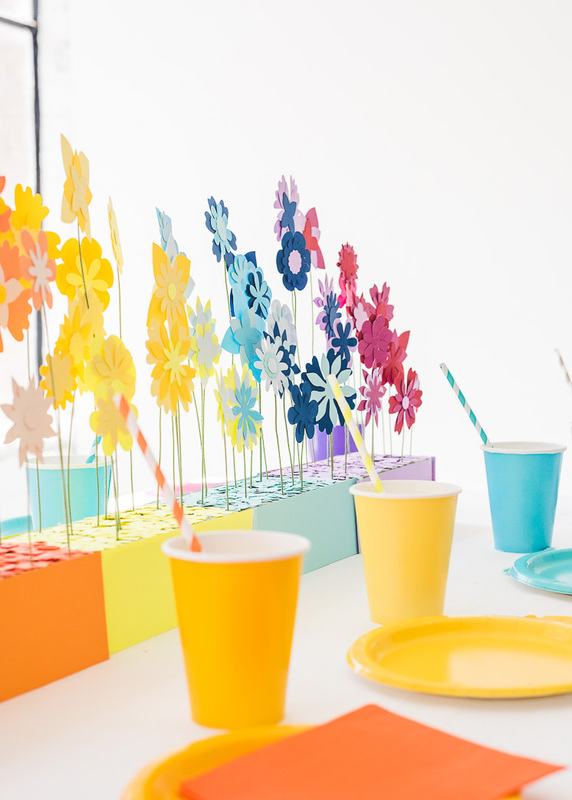 We set our Rainbow Paper Flower Tablescape with coordinating paper plates, cups, napkins, and even straws to really send home the rainbow theme! 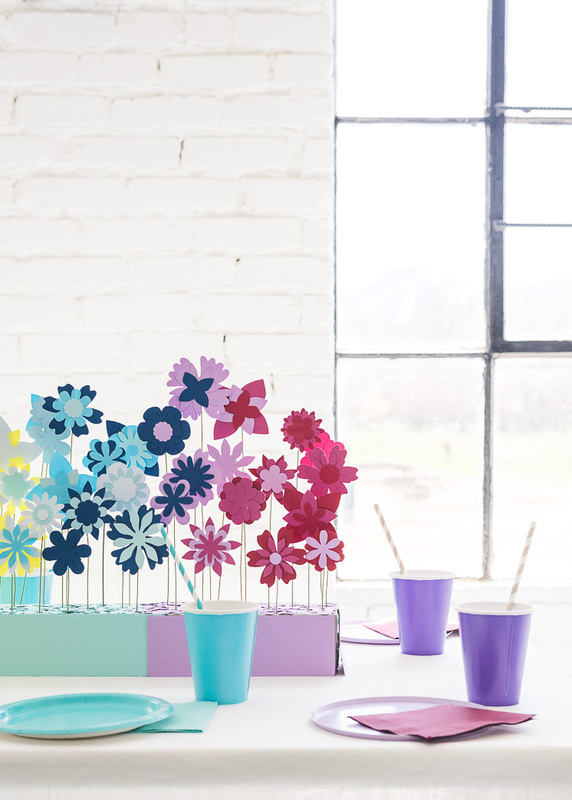 You can find a variety of colors at your local craft store. 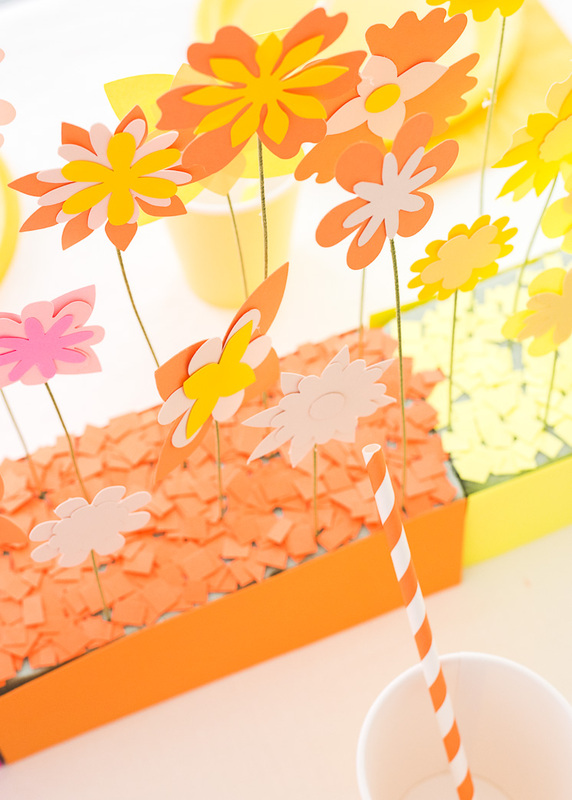 Pro tip: It always pays off to have a good supply of paper goods on hand. 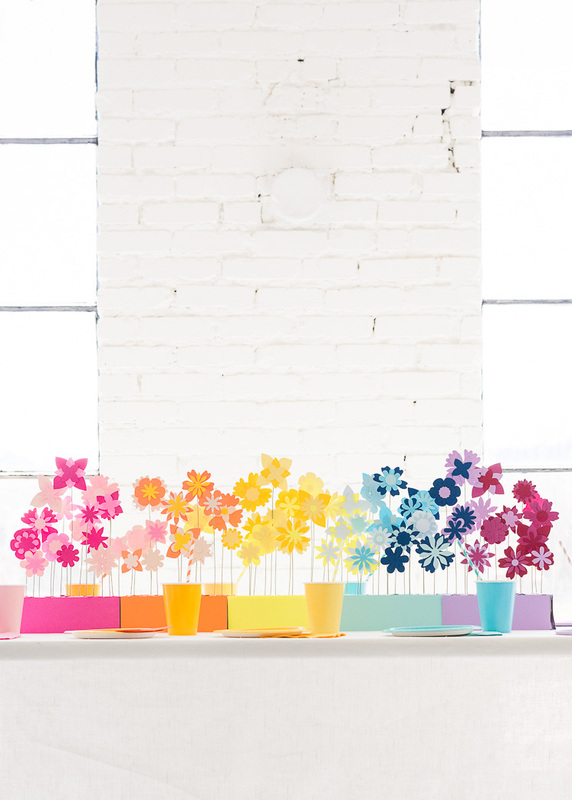 Cut out all the flowers provided in the template in each different color paper. 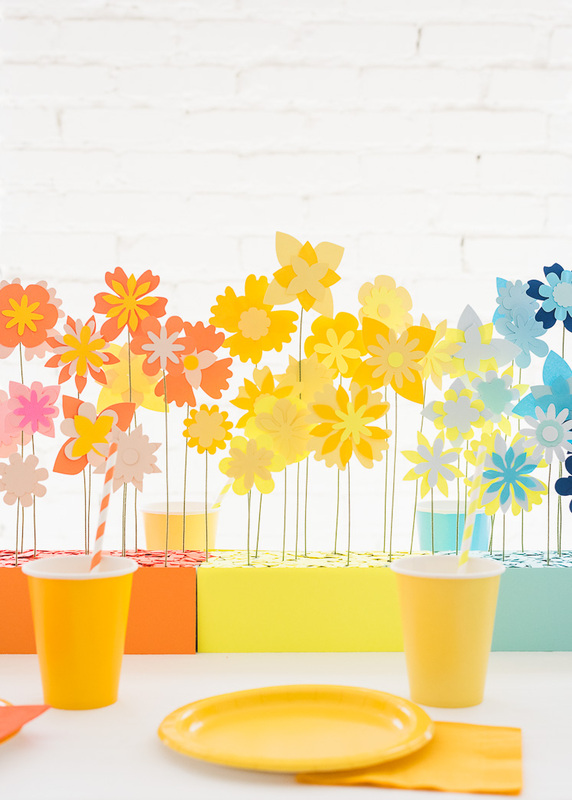 Layer the flowers, overlapping colors in similar families and gluing them together with a dab of hot glue. Arrange 5 foam blocks down the length of the table, setting them side by side. 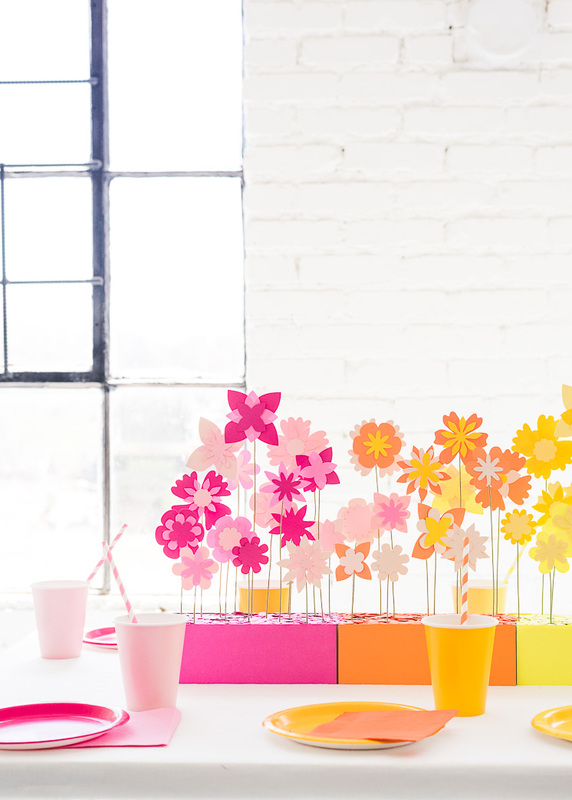 Stick your floral stems into the blocks, filling each block with one of the 5 shades of flowers, varying the heights of the blossoms. Using the additional paper, cut pieces of paper to cover the exposed sides of the foam blocks and secure with tape.